Beat the heat, or whatever the weather, and watch the game in the comfort of your own climate-controlled room. Luxury suites and catering are offered for all Sportsplex events. We offer several great food and drink packages for attendees. There is a 15-person minimum per suite to secure your rental. Give us a call (757) 427-2990 to book your game or event outing. 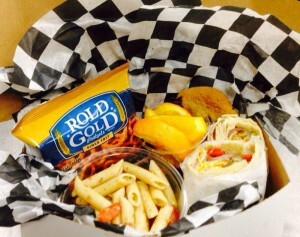 Offers burgers and hot dogs, pasta salad, chips and cookies. Offers barbecue and slaw, chicken fingers, pasta salad, chips, and cookies. ​​Offers beef and chicken fajitas with all the fixings, chips and salsa with cheese con queso dip, and cookies. 15 sodas (Coke, Diet Coke, Sprite) and 15 bottled waters. A server is also provided for your convenience. 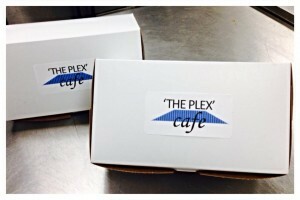 We cater... call us at (757) 427-2990. Wrap with lettuce, tomato, and cheese. can cater your party in our gazebo. We do 5K after parties, game & event parties and festivals. Food plus beer, wine, soda and water can all be served at this location. Give us a call at (757) 427-2990 for the options on the menu.